What do you do when your marker runs out of ink? 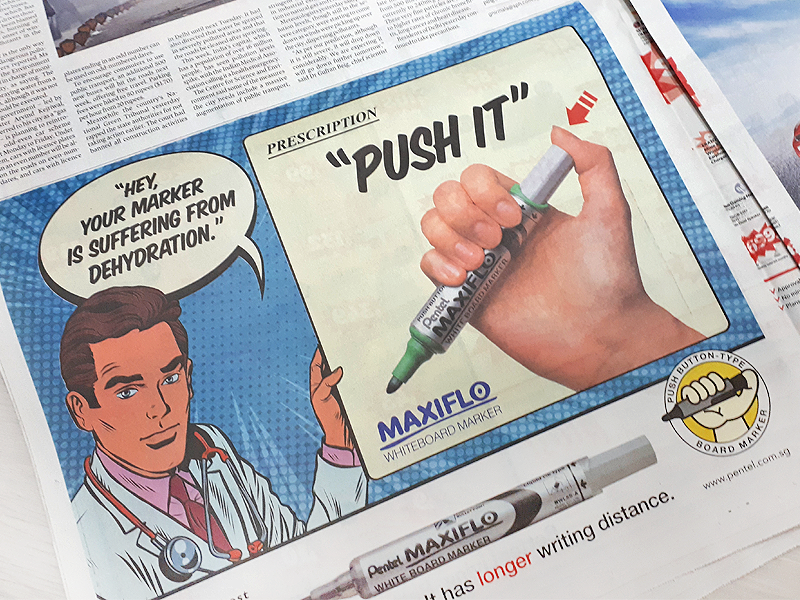 With Pentel MAXIFLO Whiteboard Marker, you can save yourself from all this hassle! All you simply need to do is to ‘PUSH IT’! It also has a longer writing distance and can be used even without cap for 24 hours. 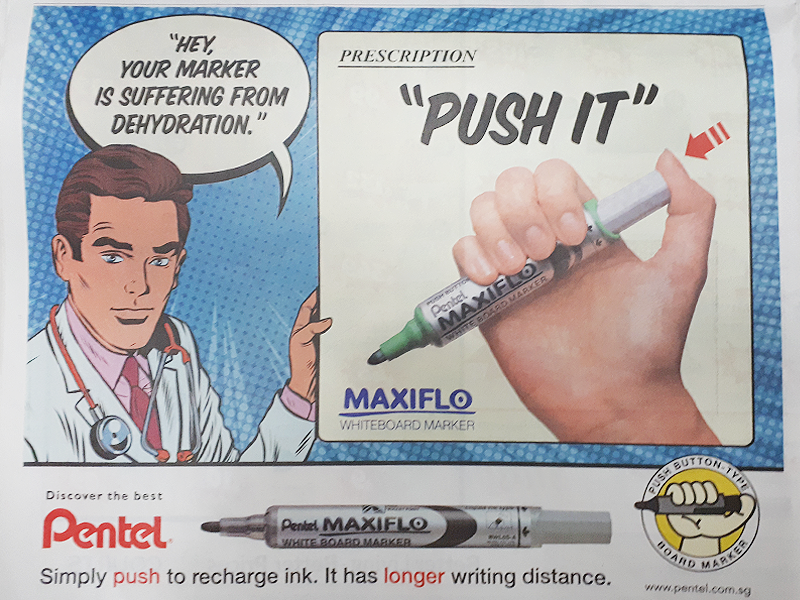 Visit https://www.pentel.com.sg/products/marker/whiteboard for more information.